Found one file extension association related to Microsoft Windows Connect Now and 1 file format developed specifically for use with Microsoft Windows Connect Now. 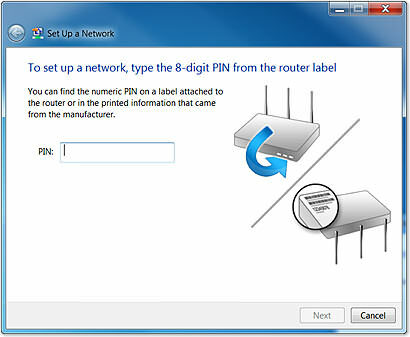 Windows Connect Now also frees you from having to remember your network credentials when you connect a new PC. Just push the WiFi Protected Setup button on your router and it will automatically send the network settings to your computer. If you need more information please contact the developers of Microsoft Windows Connect Now (Microsoft Corporation), or check out their product website.